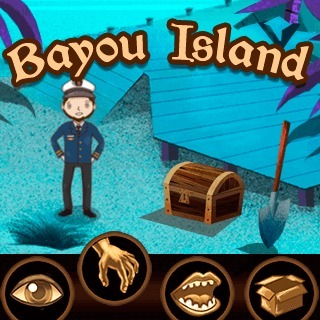 Explore the mysterious Bayou Island in this charming old school point & click adventure game! Imagine you suddenly wake up on an unknown beach and have no clue how you got there - this is the tragic fate of the ship's captain. Help him find his way back home, interact with the island's inhabitants and solve the various puzzles to uncover the truth!